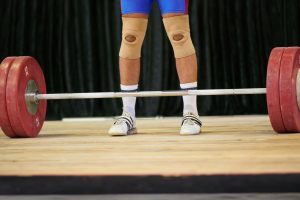 USADA announced today that an arbitrator from the American Arbitration Association (AAA) has rendered a decision in the case of weightlifting athlete, Benjamin Barnes, of Long Beach, N.Y., and has determined that Barnes should receive a four-year sanction after testing positive for a prohibited substance. Barnes, 26, tested positive for GW1516 sulfoxide and GW1516 sulfone, which are metabolites of GW1516, a Peroxisome Proliferator Activated Receptor δ (PPARδ) agonist, as the result of a urine sample he provided on December 10, 2016, at the USA Weightlifting American Open in Orlando, Fla. GW1516 is a non-Specified Substance in the class of Hormone and Metabolic Modulators and prohibited at all times under the USADA Protocol for Olympic and Paralympic Movement Testing, the United States Olympic Committee National Anti-Doping Policies, and the International Weightlifting Federation Anti-Doping Policy, all of which have adopted the World Anti-Doping Code and the World Anti-Doping Agency (WADA) Prohibited List. Barnes’ four-year period of ineligibility began on June 29, 2017, the date his sanction was imposed. 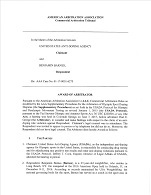 As a result of the doping violation, Barnes’ competitive results obtained on and subsequent to December 10, 2016, the date his positive sample was collected, have been disqualified, and any medals, points, and prizes are forfeited. This decision, as well as other arbitral decisions, can be found here.